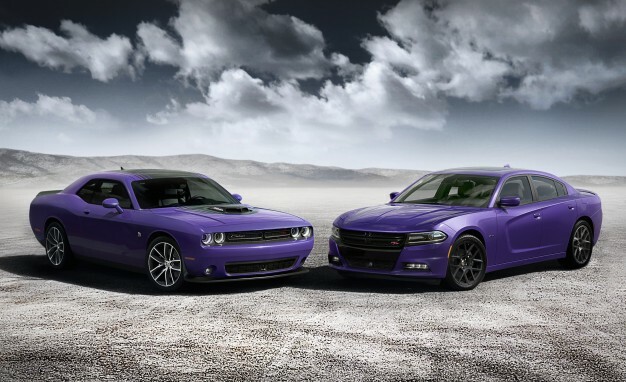 Elizabeth City, NC - Dodge goes Plum Crazy once again with the recent announcement that the brand is rolling out its iconic purple hue for a limited run of 2016 Chargers and Challengers. 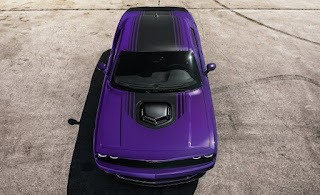 The purple hue will be available across the full spectrum of Challenger and Charger models, including the now iconic Hellcat version. This psychedelic color was originally a product of the 1970s, and Plum Crazy was offered along with other high-impact colors such as Top Banana, Vitamin C and Sublime. Plum Crazy has been offered in '06, '07, '13, '14 and now will be made available for the 2016 model year. It is not entirely shocking that Dodge will bring back Plum Crazy for the '16 model year, however this time around the color will be a bit more available and more widespread than in the past. Dodge goes Plum Crazy once again for the 2016 Charger and Challenger models, and excited consumers may begin ordering theirs in September. The paint run will only last for awhile and conclude by year's end however if you miss it this time around, do not fear. Plum crazy never really truly goes away, it just takes a vacation for a while, only to reemerge.